Kurt Cobain's daughter brings her own tunes to the table. 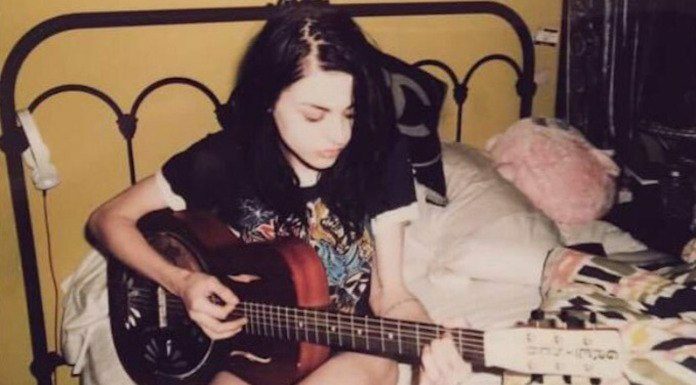 Frances Bean Cobain is once again teasing Instagram with some original music. The daughter of Kurt Cobain and Courtney Love shared a short but sweet burst of guitar-and-voice gusto to her nearly 1 million followers yesterday. Watch it below. The 25-year-old progeny of the late Nirvana frontman has shared her performances on social media before. In the past, she’s posted cover versions of Leonard Cohen’s “Hallelujah” and Jimmy Eat World‘s “The Middle” alongside original material. And while Frances Bean Cobain may or may not drop an actual song (or album) soon, she tells E! News that she prefers not to be pigeonholed solely as a musical artist or performer. After all, she also concentrates on visual art, painting and more. What do you think of France Bean Cobain’s new song? Would you buy a single or album by her? Sound off in the comments.